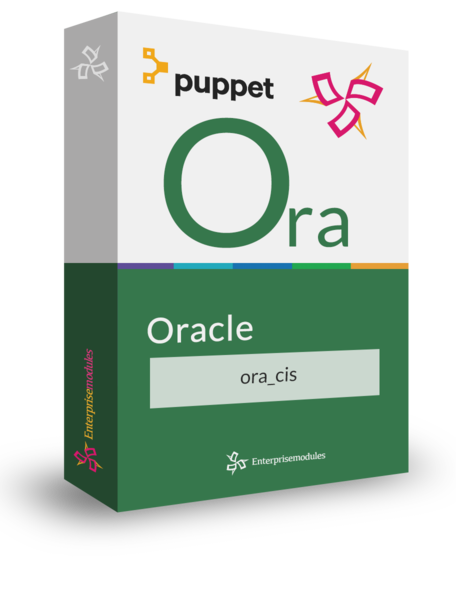 The ora_cis module allows you implement the CIS security baseline by adding just one line of puppet code. These benchmarks contain a precise, actionable set of measures for your Oracle database.
. We have taken this baseline and Puppetized it for you to use. It is called the ora_cis and contains an implementation of all rules in the benchmark that describe a configuration setting inside of the database. At this point in time 124 of the 129 rules are implemented and 5 are not because they rely on settings outside of the database. A license for the ora_config module. Runs on most Linux systems. It DOESN’T support pluggable database.